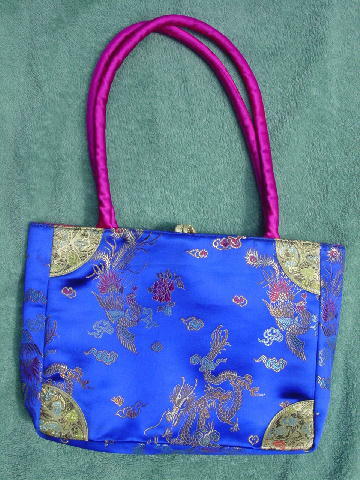 This Asian style fabric purse has a dark blue synthetic background and is by Francesca's. 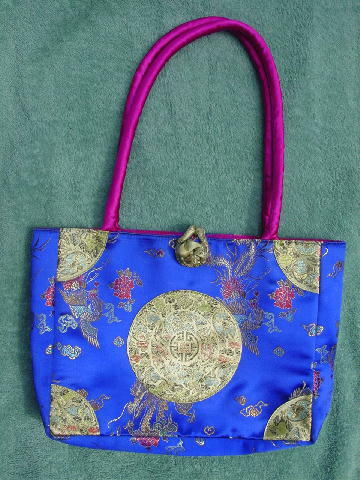 It has a design pattern in light gold, red, azure blue, black, turquoise, light lime green, and copper. It has a top frog closure. 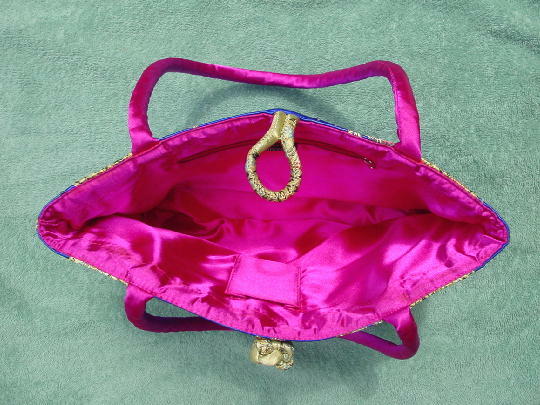 The interior lining and handles are in a bright hot pink-magenta. The 23" by 1/2" handles are padded.